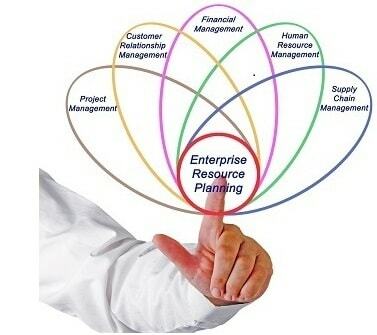 ERP Software in Pune, ERP Solution Pune ,Customize ERP Development ,Web based ERP,Mobile ERP Pune. The ERP system definition, then, would be a set of software applications that organize, define and standardize the business processes necessary to effectively plan and control an organization. Essentially, ERP applications are a computer model of your business, embodying the products and processes, information flow, procedures, and relationships between functions and activities. A set of planning applications can provide recommendations for what must be accomplished in order to meet the forecasted demand and keep the business functioning smoothly.